The double rhombic triacontahedron has three layers. 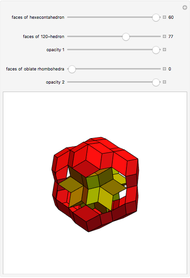 The inside layer is a rhombic hexecontahedron made of 20 prolate golden rhombic rhombohedra. The second layer is formed by 12 rhombic icosahedra. The third layer is formed by 20 oblate golden rhombohedra. 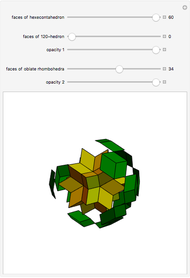 Izidor Hafner "Structure of Double Triacontahedron"